The Drager Alcotest 9510 features a new ergonomic design, while furthering the Drager tradition of highly reliable products. In many countries the results of breath alcohol testing are admissible as evidence in court. Instruments used for these measurements have to fulfil very tight requirements and have to be very reliable. The Drager Alcotest 9510 represents a new generation of breath alcohol measuring instruments. It is designed to comply with most international regulations for such devices which are besides national regulations especially the requirements defined in OIML R 126-1998. The measuring technology has been improved by using a new Infrared Sensor with higher energy density. This provides even more precise measurement results for professional users than previous instruments in that category did. Furthermore, the Drager Alcotest 9510 can additionally be equipped with the well proven Drager electro-chemical measuring system with its alcohol specificity. In this configuration the "dual sensor" concept further increases the forensic acceptance. 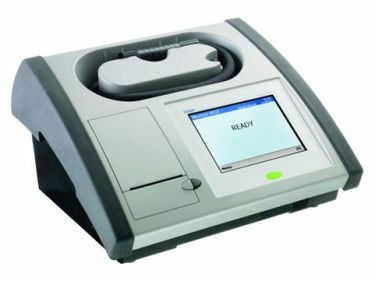 The Drager Alcotest 9510 is designed for mobile and stationary use, i.e. it can be operated with 12 VDC. The touch screen display is offering an intuitive interaction of user and device. The device can be positioned on the narrow back side which then limits the needed space to a minimum. To support the use of the instrument in this position the display is 180° rotatable. The multiple connections ports (USB; RS 232, Ethernet; etc.) of the Alcotest 9510 are allowing the integration of the device in complex data networks, with even remote control of the operation. SAMPLING - The long, flexible and heated breath hose eliminates condensation and allows comfortable operation for both subject and operator. The removable mouthpiece ensures hygienic contact between subject and instrument. DISPLAY - The high-resolution touchscreen is available in monochrome or color. The big screen delivers clear and complete text messages and makes an easy interaction possible. EASY OPERATING - An intuitive user interface guides the operator through test and maintenance steps, supplemented by audible and visual cues and complete text messages. All texts used are configurable in many different languages. THERMAL PRINTER - The very quiet and reliable thermal printer delivers a fast, easy to read and high-class document printout. It needs no toner, printer cartridge or ink to operate. Its low maintenance costs paired with the long lifetime of the thermal head are very user-friendly. HANDLING - The Drager Alcotest 9510 features high resistance against hits and beats. Gummed bumpers avoid scratches on the sides and the closed upper and bottom part protect the device against splash water. Optional the device can be equipped with a handle for easy and save transportation. DATA INPUT - For an easy data input an external USB keyboard can be used in addition to the touchscreen. INTERFACE FLEXIBILITY - For an easy communication between the Drager Alcotest 9510 and other devices, the instrument offers many different options - i.e. 3 USB ports, 2 RS-232 ports, modem, ethernet, IR port. APPLICATION - The instrument is developed for stationary and mobile use. It operates at 85 to 260 VAC and 12 VDC without activating a switch or without requiring a power adapter or a power inverter. For safe transportation Drager offers the needed accessories. DUAL SENSOR TECHNOLOGY - The highly developed Infrared Sensor represents the most significant advancement in IR Breath analysis in 20 years and is virtually non-sensitive to any potentially interfering substance in the breath of a subject. The optional available dual sensor technology, consisting of this IR sensor and a Drager Fuel Cell, provides precise, alcohol specific and reliable measurement results.